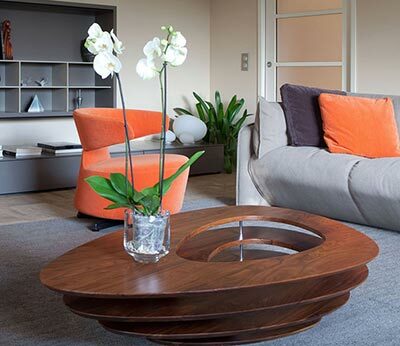 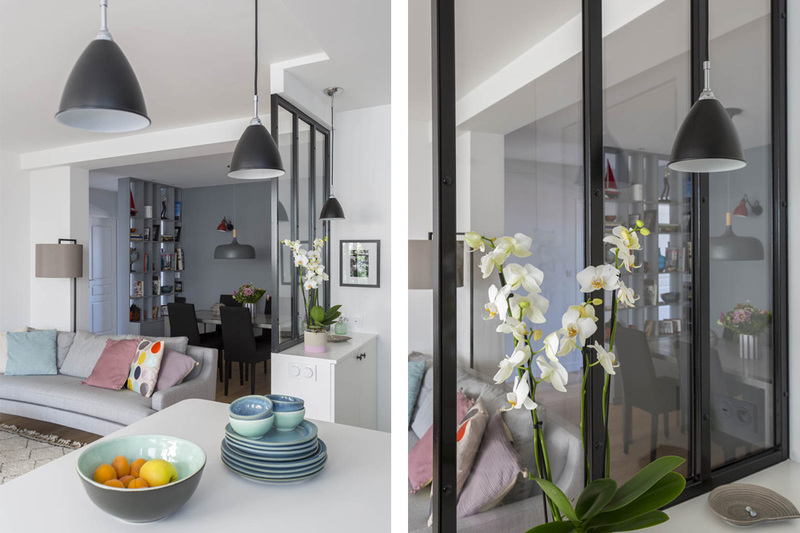 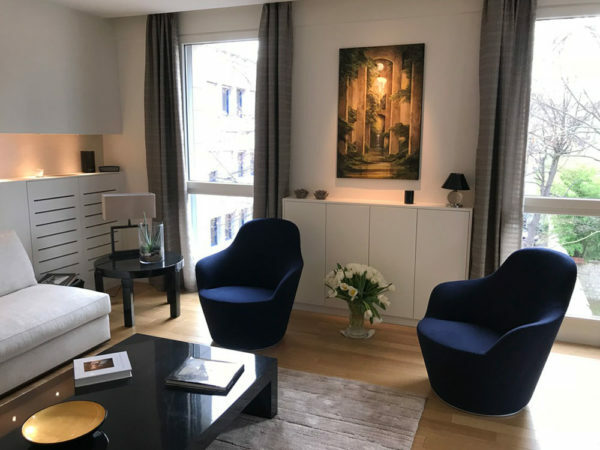 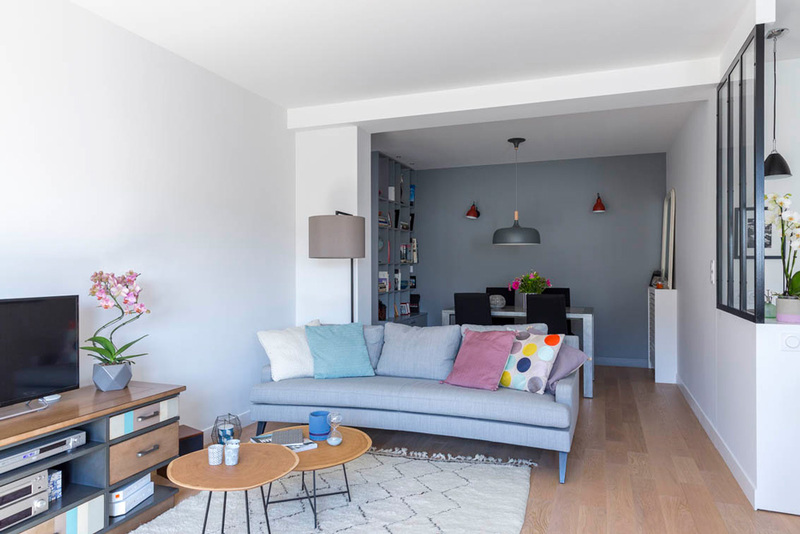 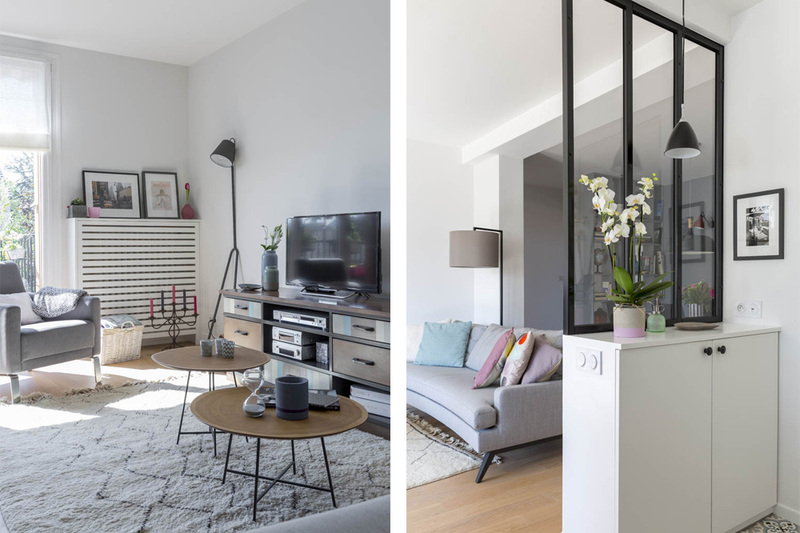 Based in the Hauts de Seine just out of Paris, this flat needed a total makeover and the clients wanted a better ergonomy in their home. 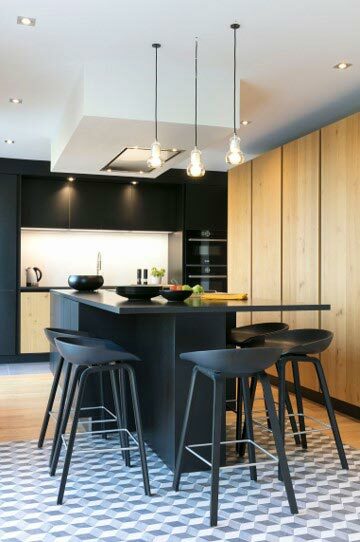 We chose to give a scandinavian style to the whole flat with simple features et light colours enhanced by touched of graphic black. 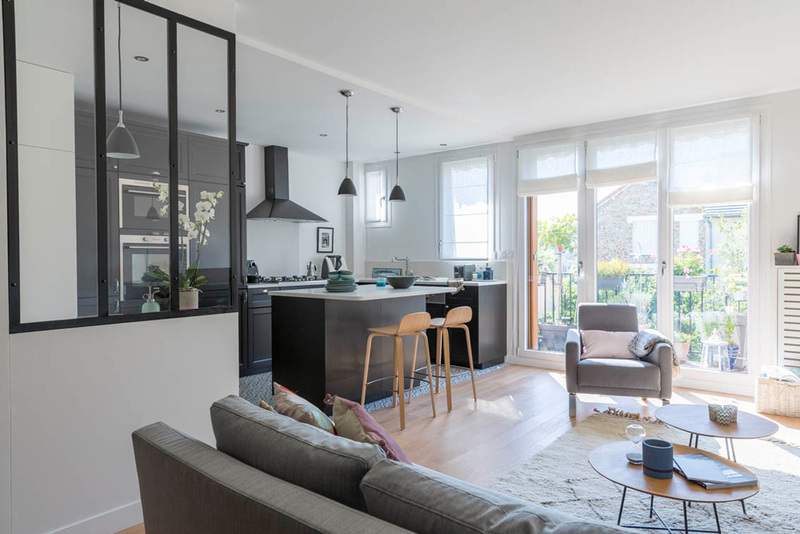 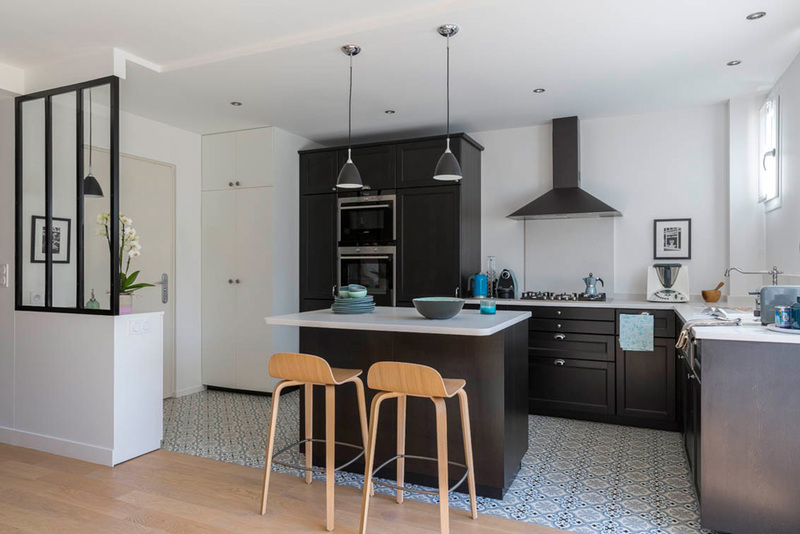 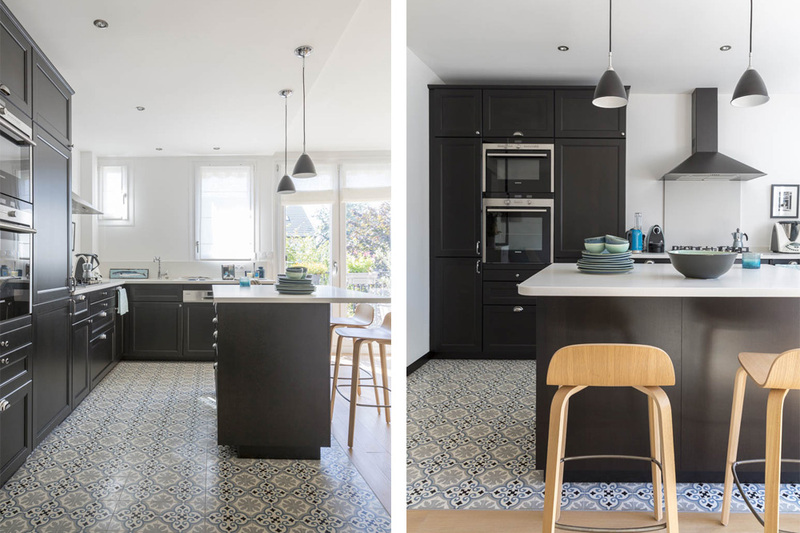 The kitchen with its black cabinets combined with light blue floor tiles, is open towards a light and cosy living room. 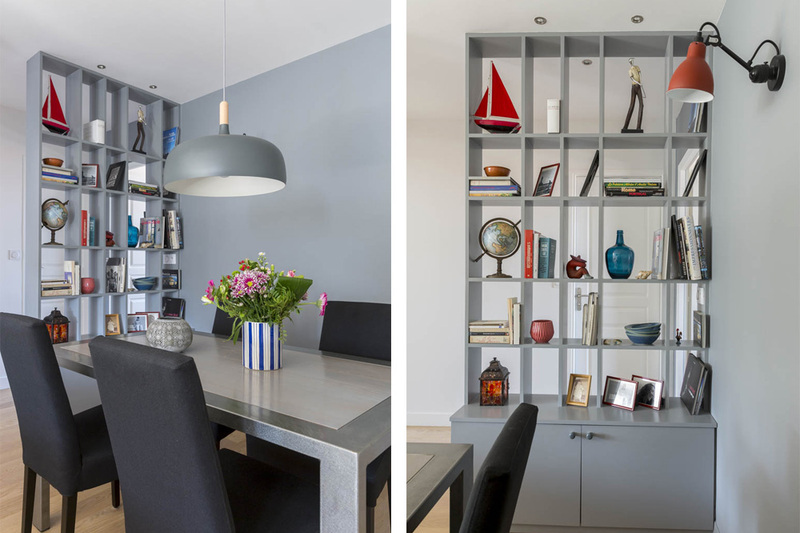 The dining room section is designed like a box with darker tones. 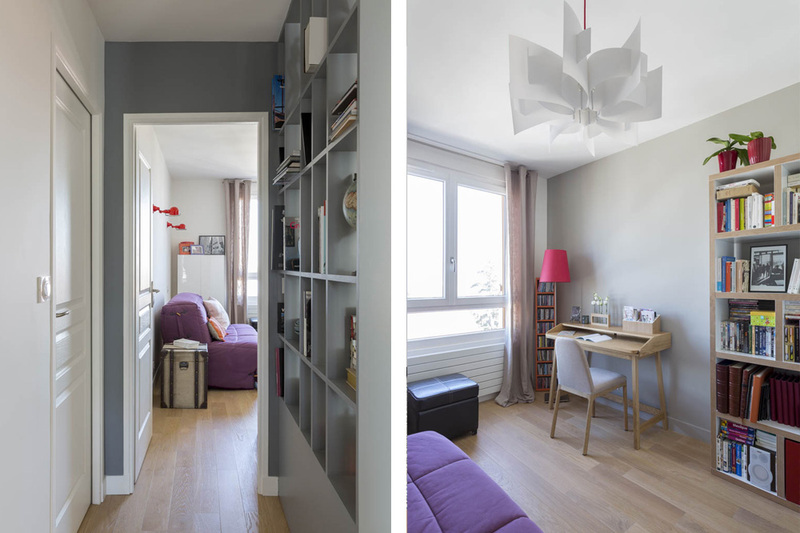 The result: A simple and functional interior design for a home full of harmony!